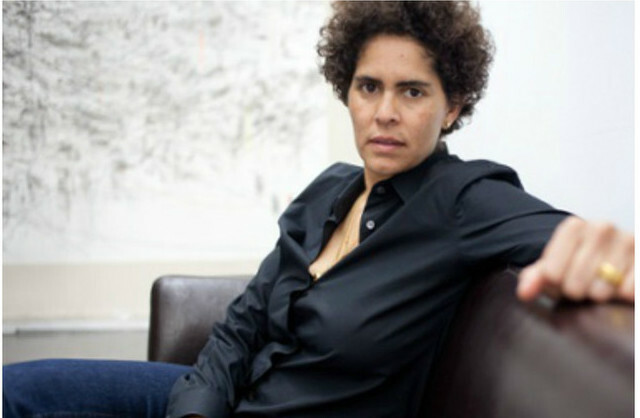 New York (TADIAS) — Ethiopian-born American painter Julie Mehretu is featured in the upcoming fifth American Artist Lecture Series at the Tate Modern in London on September 22, 2014. “This series seeks to bring the greatest living modern and contemporary American artists to the UK.” The program is a partnership between Art in Embassies, Tate Modern and US Embassy London. Julie, who was born in Addis Ababa in 1970 and immigrated to the United States with her family in 1977, is one of the leading contemporary artists in the United States and one of two Ethiopian-born artists whose work is part of the permanent collection at the Museum of Modern Art (the other artist is Skunder Boghossian). Julie, who currently lives and works in New York, has received numerous international recognition for her work including the American Art Award from the Whitney Museum of American Art and the prestigious MacArthur Fellow award. She had residencies at the Core Program at the Museum of Fine Arts in Houston (1998–99), the Studio Museum in Harlem, New York (2001), the Walker Art Center, Minneapolis, Minnesota (2003), and the American Academy in Berlin (2007).